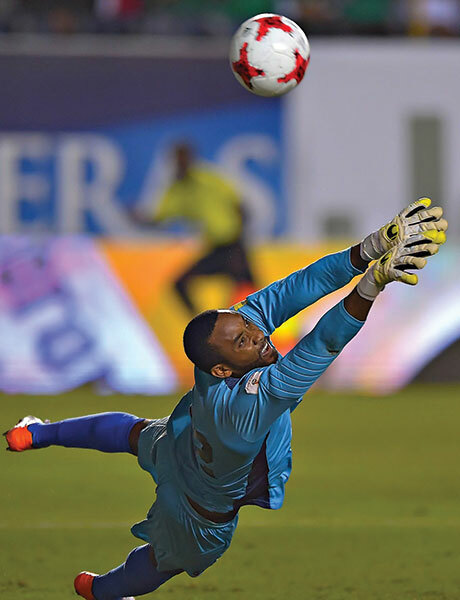 In Trinidad and Tobago, “soccer is everywhere, from the streets to the Queen’s Park Savannah,” said Adrian Foncette, a goalkeeper for the national team, the Soca Warriors. He grew up playing soccer in his hometown, La Horquetta, and in Cascade, where he spent time with his grandmother in a home on Foncette Road, named for their family. The game – and the position of goalkeeper, specifically – are in Foncette’s blood: His father was a goalkeeper, and his cousins all play that position on local teams. Two years after graduation, Foncette received a call from the Soca Warriors. He joined the team in 2014 and currently plays third-string goalkeeper. Last Oct. 10, on his 29th birthday, Foncette played one of his first World Cup qualifying games. 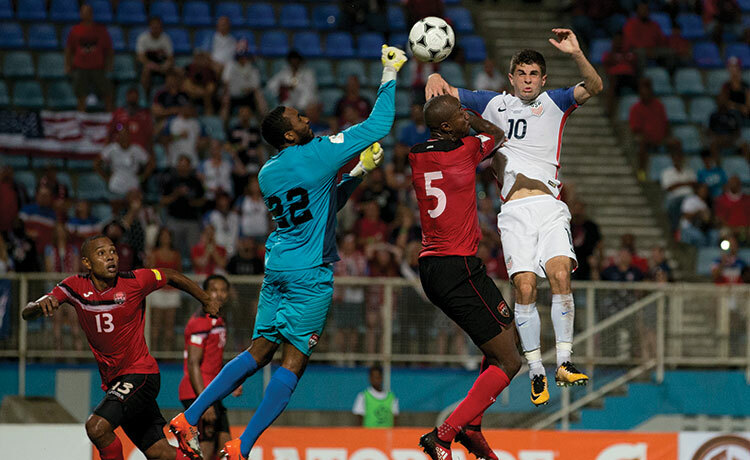 Trinidad and Tobago defeated the U.S. 2-1. The victory was an important one “for me and the team, but also the entire country,” Foncette noted, recalling that, in 1989, a U.S. win kept Trinidad and Tobago from competing in the World Cup. Foncette, his teammates, and their fellow citizens saw last fall’s victory as revenge for the 1989 loss.